The tax savings of 19 US companies that park their money abroad would be more than enough to cover the $85 billion sequester cuts. Go offshore young man and avoid paying taxes. Plunder at will in those foreign lands, and if you get in trouble, Uncle Sam will come rushing to your assistance, diplomatically, financially and militarily, even if you have managed to avoid paying for those government services. Just pretend you’re a multinational corporation. That’s the honest instruction for business success provided by 60 of the largest US corporations that, according to a Wall Street Journal analysis, “parked a total of $166 billion offshore last year” shielding more than 40 percent of their profits from US taxes. They all do it, including Microsoft, GE and pharmaceutical giant Abbott Laboratories. 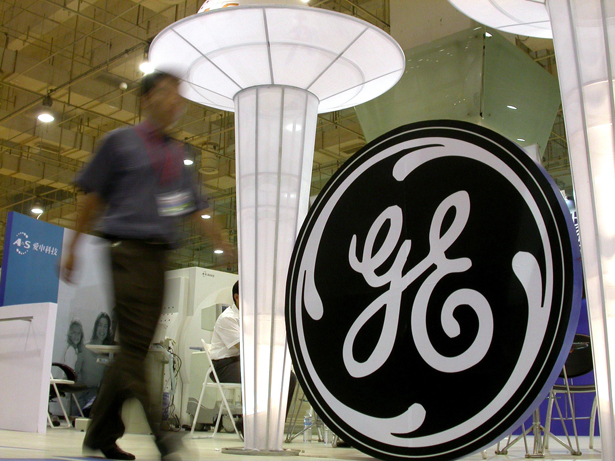 Many, like GE, are so good at it that they have avoided taxes altogether in some recent years. But they all still expect Uncle Sam to come to their aid with military firepower in case the natives abroad get restless and nationalize their company’s assets. We still have a blockade against Cuba because Fidel Castro more than a half century ago dared seize an American-owned telephone company. During that same period, we have consistently intervened to maintain the lock of US corporations on the world’s resources, continuing to the present task of making Iraq and Libya safe for our oil companies. America’s multinational corporations still need the Navy to protect shipping lanes and the Commerce Department to safeguard US copyrights. They also expect the Federal Reserve and Treasury Department to intervene to provide bailouts and cheap money when the corporate financial swindlers get into trouble, like GE, which almost went aground when its GE Capital financial wing got caught in the great banking meltdown. They want a huge US government to finance scientific breakthroughs, educate the future workforce, sustain the infrastructure and provide for law and order on the home front, but they just don’t feel they should have to pay for a system of governance, even though it primarily serves their corporate interests. The US government exists primarily to make the world safe for multinational corporations, but those firms feel no obligation to pay for that protection in return. Think of that perfectly legal and widespread racket when you go to pay your taxes in the next weeks, and consider that you have to make up the gap left by the big boys’ antics. Also, when you contemplate the painful cuts coming because of the sequester that undoubtedly will further destabilize the economy, remember that, as the Wall Street Journal estimated, the tax savings of just 19 of those companies would more than cover the $85 billion in spending reductions triggered by the congressional budget impasse. The most skilled at this con game are the health care and technology companies, which, as a Senate investigation last year revealed, have become quite expert at shifting marketing rights and patents offshore to low-tax countries. Microsoft boosted its foreign holdings by $16 billion last year, and by the end of the company’s fiscal year on June 30, 2012, had $60.8 billion stashed internationally. Through creative accounting, Microsoft was able to claim that only 7 percent of its pretax profit last year was domestically generated. Oracle increased its foreign holdings by one-third, including new subsidiaries in low-tax Ireland, and thereby was able to add a cool $272 million to the company’s bottom line by avoiding US taxes. Abbott estimates that it saved $1.6 billion in US taxes through its operations in more than a dozen countries. By moving $8.1 billion of its profits overseas, Abbott was able to claim a pretax loss on its US operations. Johnson & Johnson, another health industry giant, has almost all of its cash—$14.8 billion out of $14.9 billion—abroad, yet still claims to be a US company. One of the longtime leaders in offshore tax avoidance has been that once-American-as-apple-pie company GE, which in a more innocent time hired Ronald Reagan to advertise its wares. Now GE has nearly two-thirds of its jobs abroad, avoided US taxes in the previous two years and has $108 billion stashed overseas. Two years ago, President Obama appointed GE CEO Jeffrey Immelt to chair his Jobs Council, despite the fact that Immelt had cut his company’s US workforce by a fifth. GE’s expertise is no longer in appliance manufacturing, a division Immelt has tried to shed, but rather in financial manipulation. GE Capital was a leader in the financial scams that still haunt the US economy, and Immelt has been most effective in lobbying Washington politicians to rig the tax laws to benefit his and other multinational corporations. He has created some jobs, but unfortunately, they are abroad, along with his company’s untaxed profits. For all these multinational corporations, the love of profit trumps loyalty to country. Another group who enjoying landmark profits while ordinary Americans suffer sequester cuts is private equity executives, who made billions in bonuses last year.